Happy Hump Day! 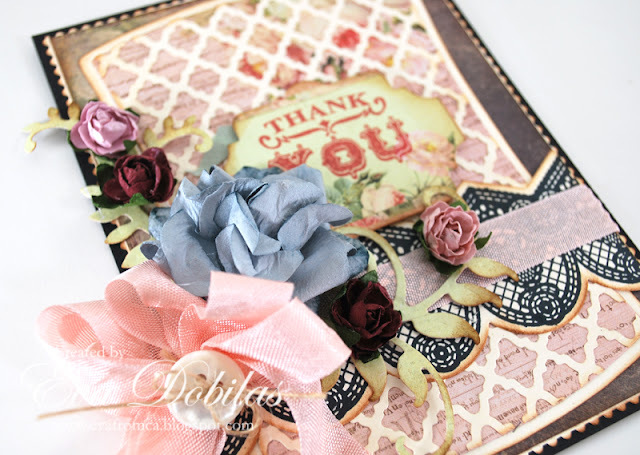 Today I have a pretty card to share with you....well, actually I always try to make pretty cards...LOL...however this one is quite feminine, so I really love it. I made this card for Scrap-mart as you can purchase most of the products I used on this card at their online store, or at the Expos they attend. My card features JustRite Papercrafts stamps, gorgeous Spellbinders, Kaisercraft flowers, and Prima papers. 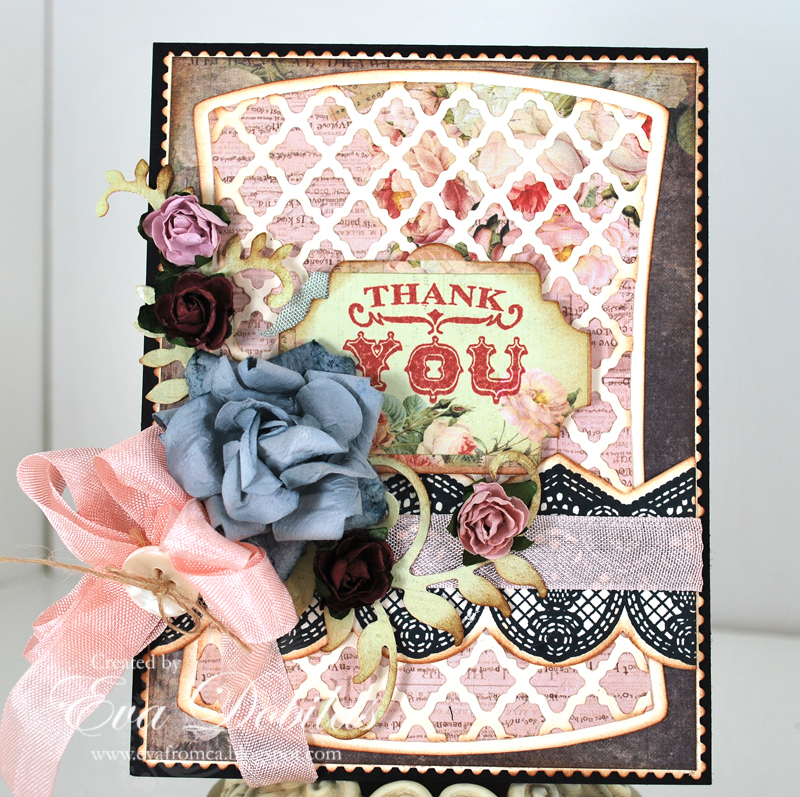 The stamp set I used is a brand new September released JustRite Papercrafts set called Lace Medallion Labels. I used quite a lot of Spellbinders on this card....here is the list of them. My card uses a lot of pretty Kaisercraft flowers, which made a beautiful addition to my card and of course I had to use some seam binding ribbon to complete the card. Here is a different angle of the card. Well, hope you like this little card as much as I do. Make sure you check out Scrap-mart for all your crafty needs. Thanks for visiting and hope you have a beautiful day!